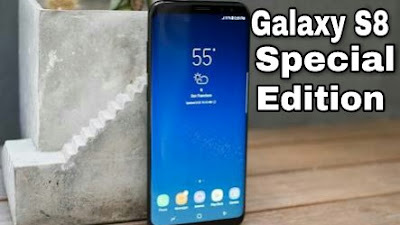 Samsung Galaxy S8 Special Edition - DKHD Tech..
As you know about that Galaxy S8 is been offically announced on 29 March 2017. But you might not know about the special edition of galaxy s8. The main and only difference b/w the Galaxy S8 and S8 special edition is to be the ram only. Galaxy S8 has a 4GB Ram and S8 + also has the same 4GB Ram. But the special edition of Galaxy S8 is with the 6GB Ram. This is the only difference b/w s8 and s8 special edition. Galaxy S8 special edition is around 1000$. Galaxy S8 simple is around 750$ and Galaxy S8 plus is around 850$. Around 250$ extra for 2GB ram. The phone is been launching in korea and also in china. This special edition is launching in korea and also china. Hope you like this article….. If you want video tutorial just watch this….